Hawkeye finished his Open cattle title and also got one leg in advanced sheep, taking home High Cattle and High combined awards! 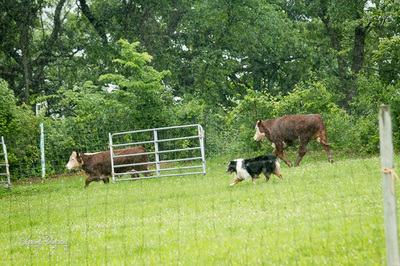 Handled and shown in the photo below by his breeder Marie Murphy. With three High in Class placements (and scores of 100, 100 & 98! 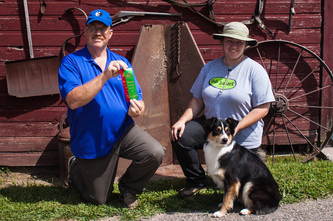 ), Miss Nyx earned her Rally Novice title at the CKOC show this weekend! 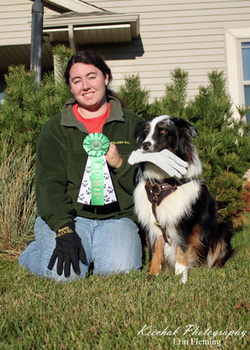 She also earned her first Advanced leg with a score of 98 and another High in Class! Hawkeye qualified in Open Cattle and took home the High Scoring Cattle Award, he also finished his Advanced Trial Dog ducks title. 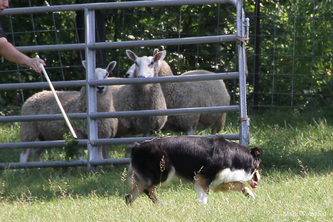 Lark got her Open Sheep title and also qualified in Open ducks, she also took home the High Combined award. 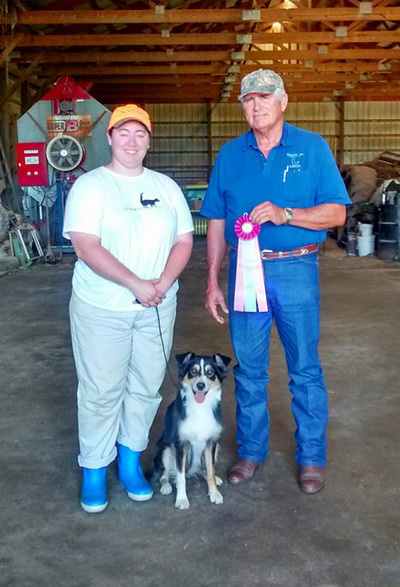 Hawkeye qualified in his first Advanced Farm trial with mixed stock and now has one leg towards his AFTDm title under judge Bob Myrick. 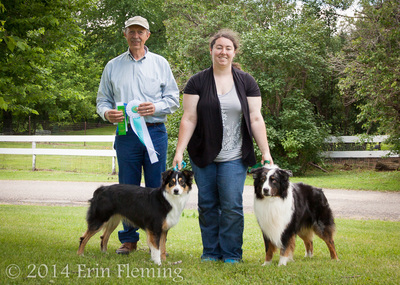 Lark Qualified on both Saturday and Sunday under judges Bob Myrick and Canby Scott, taking home Most Promising Started Aussie both days. 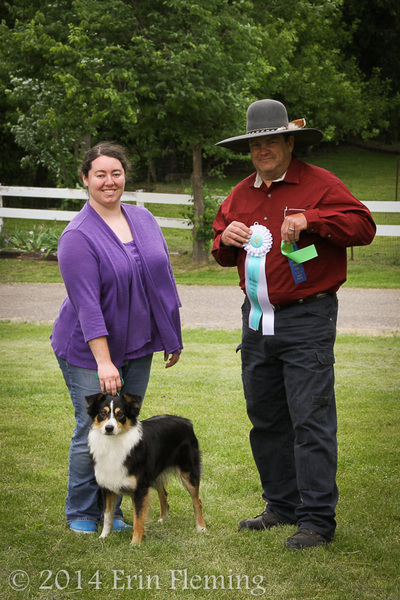 Then Hawkeye qualified in Advanced Trial Ducks for one leg towards his ATDd title. Hawkeye earned his OFTDm title and takes a three point Major under Senior Breeder Judge David Clayton. Hawkeye earns his first qualifying score towards his Open Farm Trial Dog Mixed Stock title! 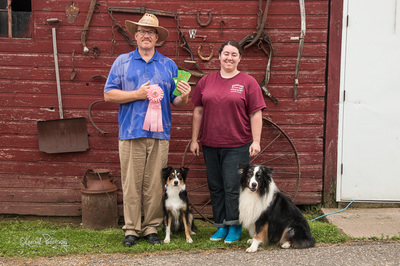 Hawkeye gets two first places and finishes his NA and NAJ titles completing the titling requirements for the AKC's VCD1 title which requires the NA NAJ TD and CD. 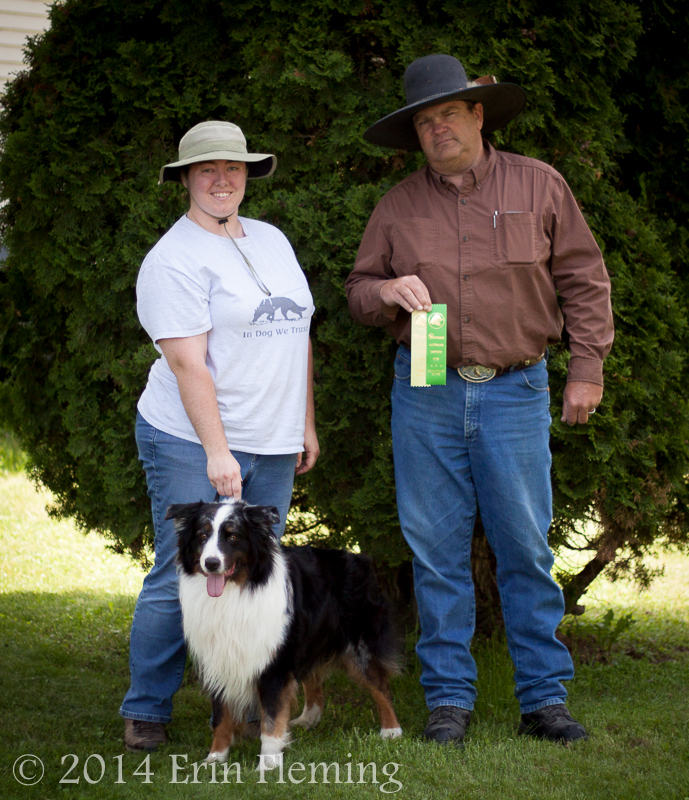 Hawkeye got his Started Trial Dog Ducks title with two first place wins, He also placed 3rd in and qualified in Started Trial Dog Cattle! News from the 38th Annual ASCA National Specialty! Hawkeye gets his ASCA TD title at the 38th ASCA National Specialty! 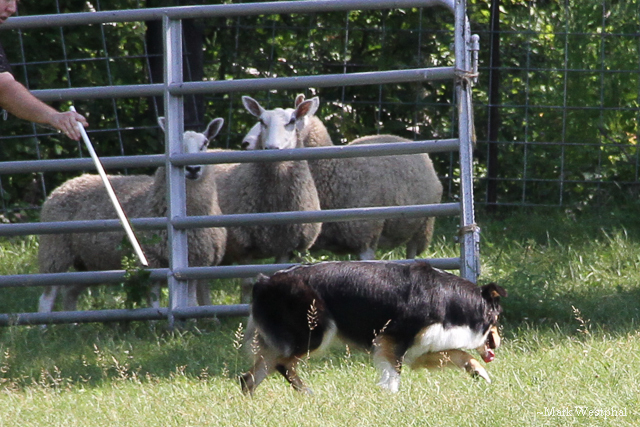 Hawkeye goes MVA and earns his STD(sheep) and ASCA CD June 12, 2011! Hawkeye got an MVA award today and TWO new titles!! 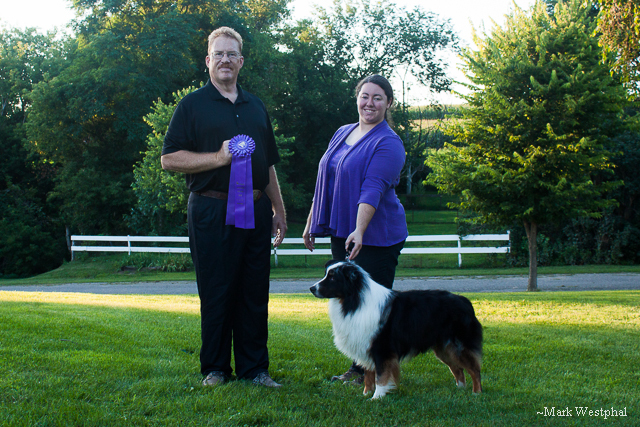 Hawk finished his AKC CD, in three shows, today at Fond Du Lac Kennel Club! Thank you to all the judges! We went down to Beloit Wisconsin to see Judge Beth Miller. Hawkeye compleated the track she layed out for him and found the glove with his nose to the ground! Bellow is a photo of me, Hawkeye, and AKC Judge, Beth Miller. Thank you Beth! We will be attending the show in Saukville all three shows. Hawkeye will be entered in the 12-18 month puppy dog. Took two seconds and a first in class. Hawkeye passed his CGC evaluation tonight. My youngest dog ever to pass it at 1 year and 2 months old. He got a pretty little medallion to wear around his neck too!